Take in the views of the stunning North Norfolk countryside. Only five minutes from the sea, five miles from the Broads and half an hour from Norwich. 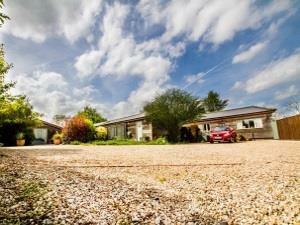 These recently converted stables provide excellent accommodation in a rural setting. All our properties are single storey offering disabled access. There is a communal area for barbecues as well as large paddocks for recreational use. We have a state of the art sauna to help you relax and unwind during your stay. Pubs offering good food and a selection of real ales can be found within a couple of miles. The extensive network of public footpaths and bridleways can be found from the property. Arrival 3pm, departure 10am.